One of the most important topics in the area of sustainability of the planet is the efficient and environmentally friendly waste processing. Elvosolar a.s. offers a unique concept for sorting and processing industrial, municipal, biodegradable and other waste. 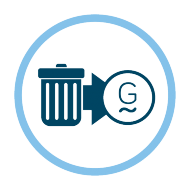 The goal of the technology offered is to process wastes in the most environmentally friendly way possible with a very interesting project payback period. The main idea of the implementation of this concept is waste utilization and conversion of waste to products suitable for the production of electric or heat energy. The production energy from waste consists of two cycles. The task of the first part of the technology is to sort the waste into individual fractions suitable for further recycling. The sorting is performed on sorting lines with a customer-defined degree of automation with a high efficiency and quality of the sorting process. The result of the sorting process is not only the separation of standardly recyclable materials, but also a biological component, a homogenized mixture of non-recyclable material, which is then subject to energy recovery, and a small non-recyclable component, which ends in landfills. The second part of the process of waste processing by our technology is destined for the production of a product that can be used for energy generation. The homogeneous part of the mixture, which has been deprived of undesirable components unsuitable for thermochemical treatment (toxic waste, PVC, metal, glass, inert materials), is then deprived of excess moisture (moisture below 15 %), and is transformed to gaseous fuel, a so-called synthetic gas, in a pyrolysis rector. 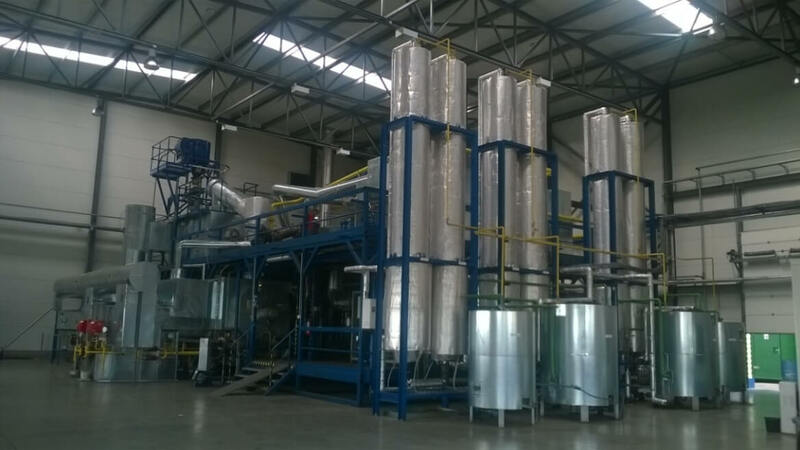 The process of pyrolysis of an energetically recoverable non-recyclable waste mixture focuses on the production of a synthetic gas, which is subsequently used in environment-friendly combustion processes in cogeneration units. The synthetic gas is a combustible gas, predominantly composed of carbon monoxide (CO), hydrogen (H2) and methane (CH4), and it is suitable for the production of liquid fuels or for the production of heat energy and electric energy. The described process meets the strictest emission limits. A part of the gaseous product itself is used to indirectly heat the gasification reactor. As a rule, the basic components of the result of this process are the pyrolysis gas and a carbon residue. Depending on the technology setting, the output can also be pyrolysis oil. Pyrolysis gas or oil are products that are fully usable in petrochemistry, the energy sector, chemical industry and other industries. Modular solutions with a mixed municipal waste processing capacity of 10,000 tons per year or more, or 6,000 tons of sorted waste per year, are a very interesting offer for towns (cities), other municipalities, the industry, agriculture and waste disposal companies. Slovakia generates an average of 9.5 million tons of waste per year, the biggest problem being its disposal in landfills and the recycling of sorted waste.